To hear George’s story read by Enid Davidson; George’s Great Niece, please press play on the audio file. In 1914 there were 2500 identified households in the Parish of Scone. The area this covered was from the villages of Stormontfield, Guildtown, Balbeggie, St Martins, part of, Coupar Angus, and Kinnoul. Scone Remembers have identified soldiers from the Parish that are not listed on our memorial, but in their own villages. We will remember them. 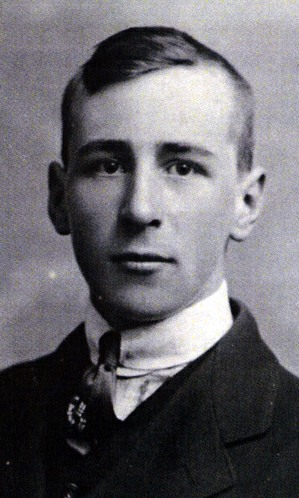 George Beedie was born November 9th1897 to George Beedie and Mary Donald of Mont Rose, Balbeggie. 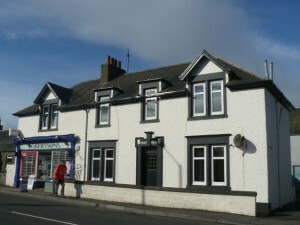 When George’s father and mother moved to Balbeggie, the 1901 census show them as staying in the Hotel Building, Scone Road, Balbeggie, owned by Robert Gardener; this is now the MacDonald Arms. By this time they had six children with George being the youngest at 3yrs. The relatives tell us that the family stayed in the Hotel building while the Bakery and Shop were being built and then they moved across the road to Mont Rose once the building work had finished. George’s father continued at the Bakery, Balbeggie. In 1917 George was 19yrs, he had 4 brothers Alexander 28yrs. Robert 20yrs. William 18yrs Edward 16yrs and 4 sisters Bella 26yrs, Maggie Anne 24yrs, Mary 23yrs, Edith 14yrs and Olive 12yrs. 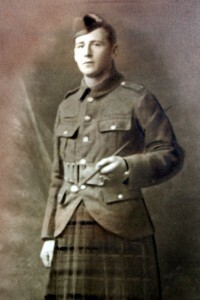 Private George Beedie was conscripted on 2nd March 1916 to the 3rd Black Watch. Service No S/18929 aged 18yrs. The 3rd Black Watch was a Battalion stationed in Perth, Scotland. Later in 1916 they moved to Nigg, Rossshire. This Battalion was a special reserve, concentrating on our defence and training. 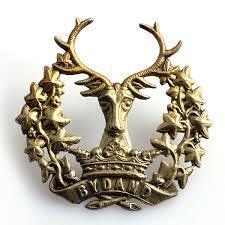 Private George Beedie changed Battalions when he was 19yrs. WW1.` Manual of Military Law .1914’. States: once a Soldier is appointed to a Corp for which he enlisted for and has served 3 months in that Corp he has been appointed too. He may transfer however to another Corp with his own consent or compulsorily. It was also known when young men enlisted, it may have been suggested they give a false age, as at 19 years of age entitled these soldiers to fight on the Western front. Pte. George Beedie enlisted with the Gordons Highlander, on 13th February 1917, at the age of 19years and 3 months; this suggests he choose, rather than being compulsorily transferred. This enlistment document was also signed by the Black Watch. He now had a different service No. S41167, In this document, he stated his birth town as Lochee, Forfarshire. His height as 5ft. 9in; he had good health and had been working as a Baker. His application to Gordon Highlanders was signed by John Macpherson, Clergyman, who lived at the United Church Manse, Balbeggie. The Gordon Highlanders Regiment, raised 21 Battalions and was awarded 57 battle honours, 4 Victoria Crosses and lost 8870 men during the course of WW1. By 1917, the 1/6th Gordon Highlanders had been moved to defend the lines of communication on the Western Front. The Battalion was transferred to the 152nd Brigade of the 51st Highlanders and engaged in the 1st and 2nd Battle of Scarp, the capture and defence of Roeux, the Battle of Pilken. Pte George Beedie posted to France 9th June 1917 and joined the 51st Division, which would have experienced the barrage and trenches during the Battles of Messines. 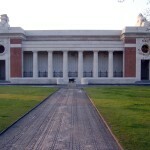 His Division was involved in the Battle of Ypres, Passendaele, which started on the 31st July 1917. The Germans had pulled their troops back from the front line opposite Boesinghe on the 27th July and the French and the Guards Division moved quickly forward, to occupy the ground and bridge the canal in their rear. At 03:50 on the 31st July a creeping barrage moved ahead of the advancing troops. On the left the Scots Guards had reached the Steenbeek stream by 09:00 and to the right the 38th Welsh and 51st Highlanders Divisions also achieved their objectives, although with rather more difficulty than the Guards. In very rainy and wet condition to the south, along the Menin road and towards Shrewsbury Forest, much less progress was made. It is recorded in medical record, District 1. Record 2/13588, that Private George Beedie, was sick in hospital and had died 01.08.1917, however other attempts to gain information by the family in August 1917, had been returned marked wounded, present location uncertain. He was officially report missing in September 1917. 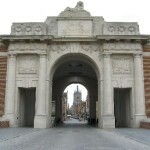 Private George Beedie is named on Ypres (Menin gate) Memorial panel 38 Menenstraat, 8900, Ieper, Belgium. This is dedicated to the British and Commonwealth soldiers who were killed in the Ypres Salient of World War 1 and their graves are unknown. The architect was Reginald Blomfield and it was unveiled in July 1927. In medieval times the original narrow gateway was called Hangoartpoort. It was part of the city’s fortification, while occupied, by the Habsburgs and French in the 17th and 18th centuries. 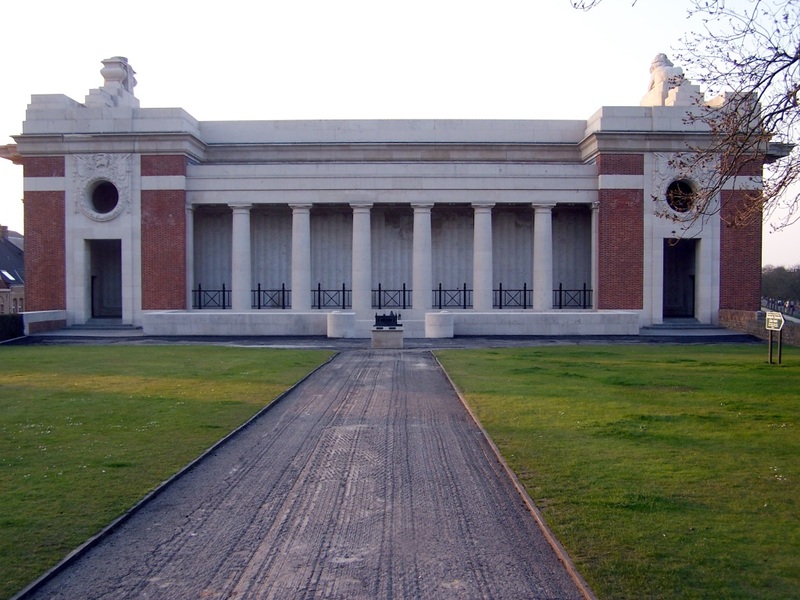 The British and Commonwealth soldiers often passed through the Menenpoort, as they marched to the front line with some 300,000 of them being killed in the Ypres salient; of those 90,000 of these soldiers have no known graves. At the en d of the War Pte. 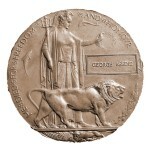 George Beedie’s family received a Memorial Plaque for British and Empire service personnel who were killed as a result of War. These Plaques were made of Bronze and were popularly known as “Dead Man’s Penny. Private George Beedie’s father died on the 10th February 1943, but his mother Mary, lived until 9th September 1948 and died at 80yrs. Some of the family still live locally and work in Scone.